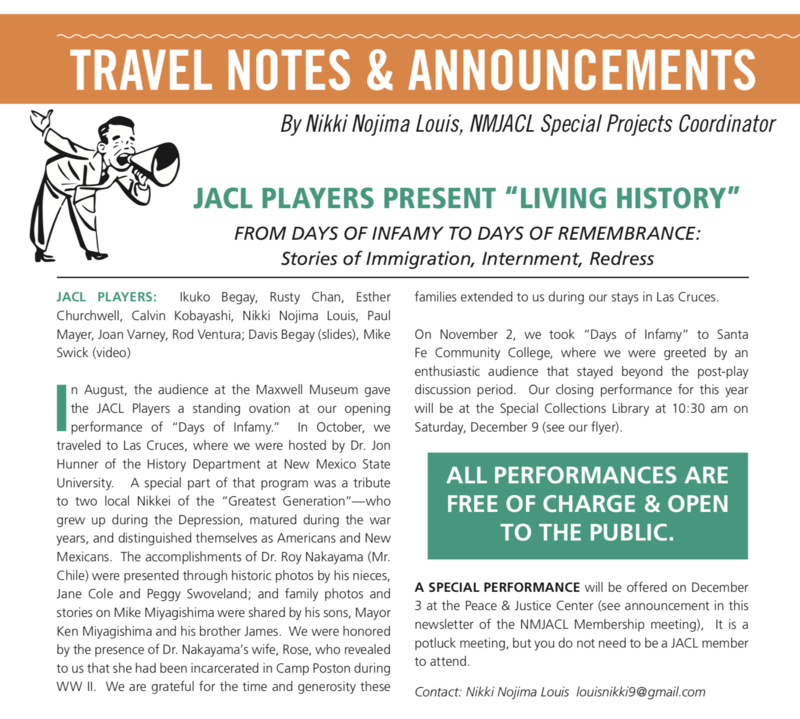 The New Mexico Japanese-American Citizens League (NMJACL) is the state affiliate for the Japanese-American Citizens League (JACL). NMJACL traces its origins to 1947 with the formation of the Albuquerque Nisei Club, a social club for Japanese-American families living in New Mexico. NMJACL is also a member of the JACL Pacific Southwest District (PSW), which encompasses the Arizona, Nevada, New Mexico, and Southern California region.